Born in an area often divided by violent ethnic clashes, Jaldu overcame an extremely difficult early life to become a Christian. 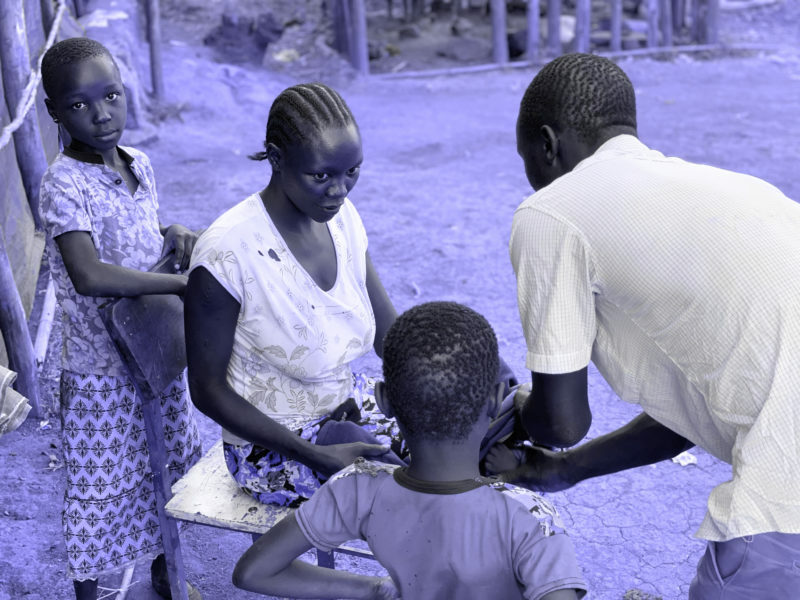 Now his ethnic background has shifted from being a hardship to an asset as he serves as a church planter with the Kristos Andinet (Unity in Christ) Church, CMF’s partner in church planting in rural Ethiopia, in a community that is closed to other evangelists. CMF Ethiopia team member Travis Weeks recently interviewed Jaldu, 26, about his faith story. “My goal in sharing this and futures stories is to help CMF partners get a closer look at the impact of their gifts to our amazing church planters and their ministries,” he said. Jaldu, whose ethnic background is Berta, was born near the village of Bachi Bach on the border of the Gumuz and Oromo tribal lands. His parents died when he was young, and family and a local church took care of Jaldu and his siblings. 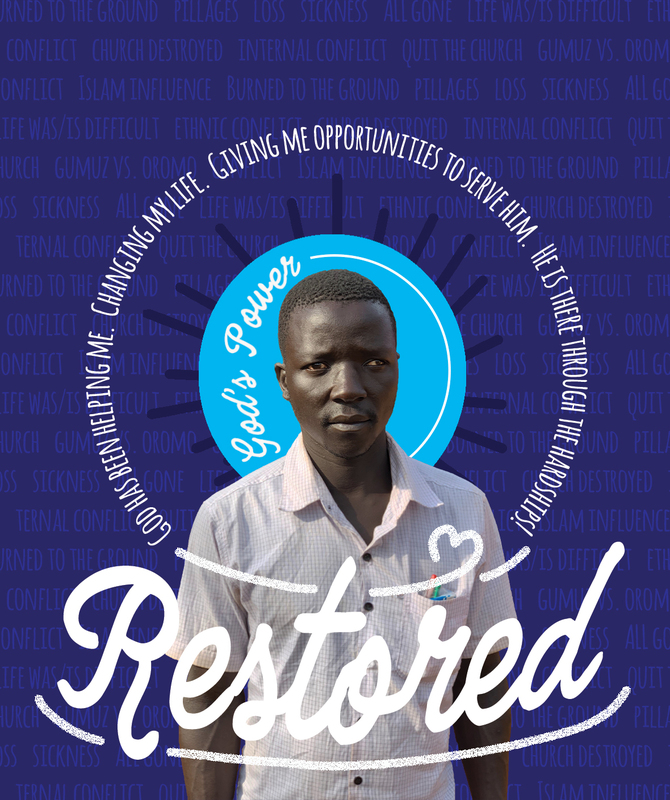 Jaldu became a Christian, but within a few months an ethnic conflict broke out in his area and his church was destroyed. He tried another church, but it was torn apart by internal conflict, so he quit attending church. Jaldu lived on the Oromo side of the border, but because he is dark skinned, he’s often viewed as Gumuz by the Oromo, who are light-skinned, which was a problem for him. Fortunately, Fikadu, an Oromo pastor at a KAC church in nearby Soge took an interest in Jaldu and began to mentor him. 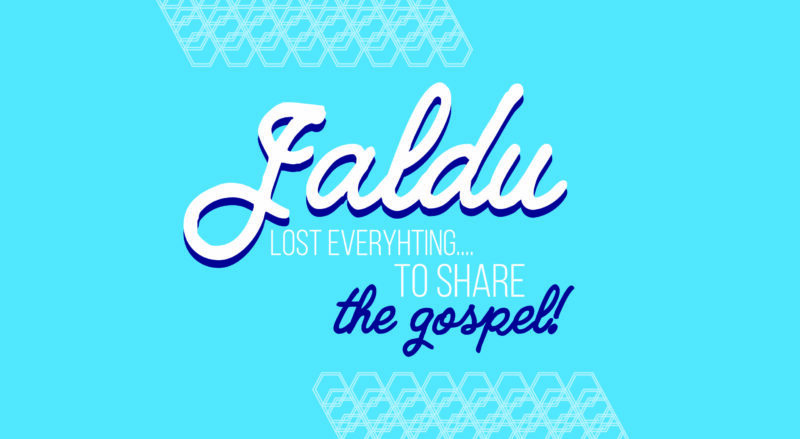 They worked to get land in Jaldu’s home area so Jaldu could plant a church there. The government allocated a piece of land to Jaldu that was large enough for the church to also grow sesame and other crops. The church used this to support Jaldu as he served there. Last year, he was selected to serve the KAC’s new church-planting effort in far western Ethiopia among his ethnic group, the Berta, which overwhelmingly identifies as Muslim. Jaldu, his wife and four children, faithfully answered this call. 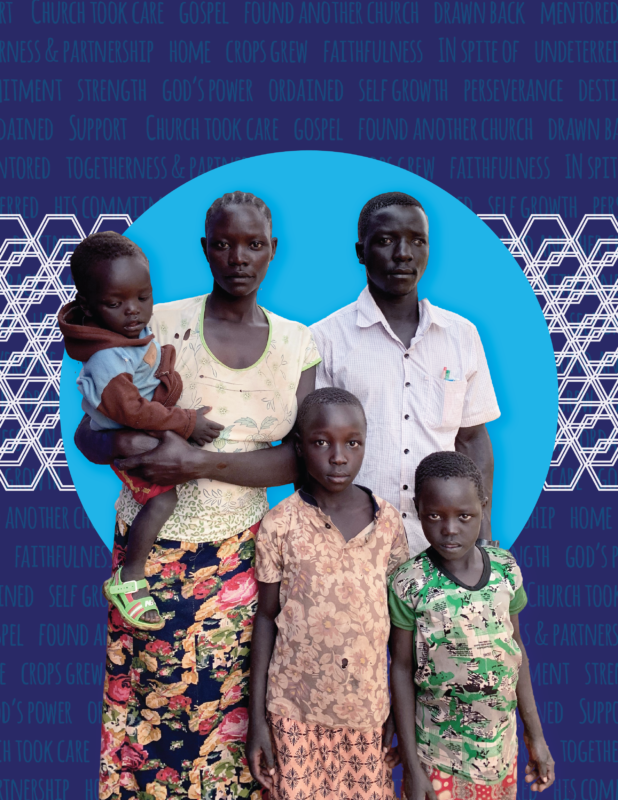 Jaldu and his family, however, are faithful in their commitment to use his Berta background and language ability as an asset in his goal to take the gospel to this unreached people group in Ethiopia. If you’ve been inspired by Jaldu’s story, please consider a gift to expand the Assosa area’s first church plant worship space here.